Have a Dental Emergency? For your convenience, our dental offices in Greenbelt and Millersville Maryland offer evening office hours and our Greenbelt dental office is open on Saturdays. 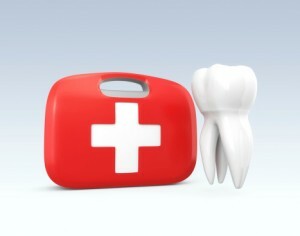 We offer same-day emergency dental care every day. When our dental office is closed, our dentists are on-call. The personal phone numbers of all of our dentists are listed on our office recording for you to contact your dentist if you have a dental emergency after hours. If you break an arm on Friday night, you don’t craft a sling and wait until Monday morning to call your doctor. You go to the emergency room. At McCarl Dental Group your comfort and care are always our first priority, and that means being available for dental emergencies when you need us. You wouldn’t wait to see your physician to treat a broken arm, and you shouldn’t wait for a broken, lost, or abscessed tooth. McCarl Dental Group is your emergency dentist open today. Call our on-call emergency dentist whenever dental disaster strikes. You may have grown up watching your parents and grandparents putting in their dentures every morning, but that doesn’t have to be you. Advances in dentistry and increasing commitment to restorative dentistry, have significantly decreased the need for dentures. If you’re over 40, it’s essential that you treat your teeth with care, especially when dental disaster strikes. At McCarl Dental Group, we want you to have healthy teeth for life. That’s why we’re available to help solve your dental emergency. You use your teeth every day for chewing, biting and talking. Your jaw is in motion and your teeth continually come in contact with foods, beverages and other teeth. Some people even use their teeth as tools to bite fingernails, tear plastic and remove lids. Do not use your teeth as tools! We are hard enough on our teeth! While they are made to handle normal pressure, over time, they begin to wear down and become more susceptible to many dental health problems. Over time your tooth enamel wears down and can crack, exposing the dentin. Some people have cavity resistant tooth enamel, nobody has cavity resistant dentin! Clenching or grinding your teeth, also called bruxism, causes increased wear on your tooth enamel, during the day and even as you sleep. Bruxism puts you at greater risk for tooth decay, cracked or broken teeth and abscesses of the tooth or gums. Additionally, recent studies showed that 75% of Americans over the age of 40 suffer from some form of periodontal (gum) disease. Many patients don’t realize they have gum disease until it’s too late. Although untreated tooth decay is a significant cause of missing teeth, in patients over 40, gum disease is actually the leading cause of tooth loss. Any dental emergency is important, and McCarl Dental Group is committed to providing convenient emergency dental care for every patient. As we age, it becomes increasingly important to seek dental restoration as soon as possible. After 40, your teeth are more likely to sustain increased damage due to weakening of the enamel. Even if you don’t see much damage on the surface of your teeth, a dental examination can prevent future dental problems. Some cracks in your teeth are not be visible without dental x-rays. As bacteria work their way into these cracks, damage can progress, causing an infection or abscess that requires root canal therapy or even removal of the tooth. Whatever your dental care, emergency or age, our on call dentist nearby is here to help you. If you’re over 40, receiving care for a dental emergency within hours rather than days can help you to keep your smile for life. Whatever your dental emergency and whenever it happens, we’re here to help, and our patients agree. Check out the emergency dentistry gallery for stories from patients we were able to help. Don’t wait to get help for your dental emergency. Call McCarl Dental Group and get help when you need it. Our knowledgeable staff is available at either of our two convenient locations Millersville or Greenbelt, MD. We also conveniently serve patients from Severna Park, Crownsville, Gambrills, Annapolis, Crofton, Glen Burnie and Severn.